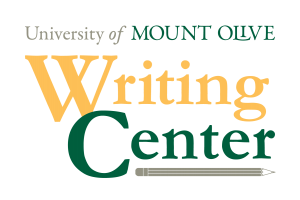 At the UMO Writing Center, student coaches are trained and ready to help students hone writing skills in order to become better writers. Of course, the more practice and knowledge students gain in writing will likely be the best way to produce better papers. Our coaches work one-on-one with students, pointing out what is working well in the paper and what needs further improving; the coaches, in essence, provide feedback based on the reader’s perspective. Some of the elements of writing which coaches provide assistance are organization, citation and citation formats, research tips, thesis development, punctuation, and grammar. The Writing Center is a first-come, first-served center. Therefore, we offer appointments throughout the day to provide our service to traditional and adult/online learners. Our appointments begin on the hour and last approximately 45 minutes. 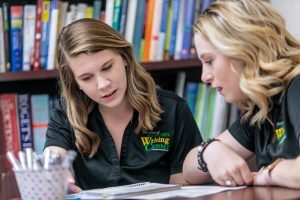 While we do provide services for students who walk in (depending on coach availability), students seeking Writing Center services are heavily encouraged to make an appointment via TutorTrac, our online appointment scheduling system. The appointment guarantees a student time with a Writing Center coach who will assist with the writing process. 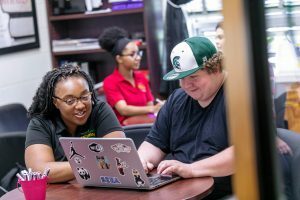 Students who have appointments—whether via TutorTrac or via a walk-in—needs to be able to access the assignment instructions in order for the coach to provide the most accurate service. Students should also bring any other materials that will be helpful; materials such as source material, drafts, notes, and more are examples of items that could help a coach provide the best, most personalized feedback. The Writing Center is currently located in Henderson 106. The Writing Center director can be contacted at (919) 658-7772 if you have questions. 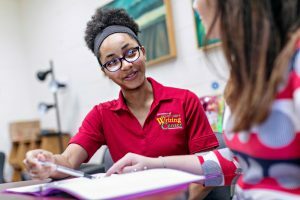 Writing Center hours typically run from 9am to 9pm Monday through Thursday and 9am to 3pm on Friday. Although, times may vary upon Writing Center coaches availability. Follow the Writing Center on Facebook, Twitter, and Instagram.